Jason Schwartzman's new show Bored to Death premiered tonight on HBO, and I've created a community for fans of the show over at boredtodeath_tv. All fans of the show and cast are welcome! WTTW National Prods. has partnered with Roman Coppola’s Directors Bureau to launch Mission to Planet 429, a mixed-media comedy adventure series for kids 6-9 debuting at MIPCOM this week. The property will be available as a series of 104 11-minute episodes or 52 half hours for U.S. public television and other media platforms worldwide in 2010. Mission to Planet 429 is described as a retro sci-fi show that centers on two rookie intergalactic “earthsplorers” attempting to succeed in various missions to save their planet from peril. As the duo stumbles through their assignments, they often misunderstand even the basic realities of daily life on planet Earth. Partially funded through a Ready to Learn grant from the U.S. Department of Education’s Office of Innovation and Improvement, the series will encourage children to develop their reading and comprehension skills. The show will be accompanied by an interactive website, gaming and other traditional and new media content. It will also be supported by an extensive licensing and merchandising campaign. 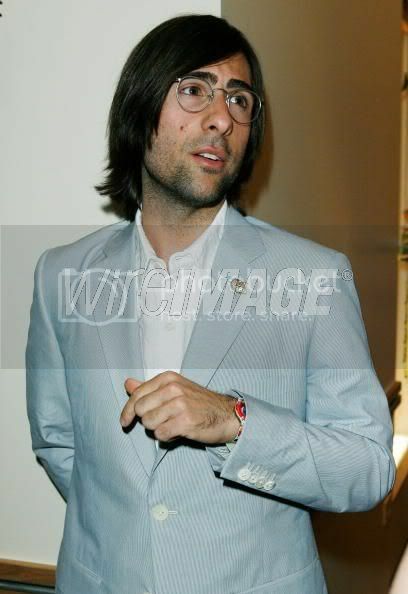 In addition to Roman Coppola, son of Francis Ford Coppola, the creative team includes four-time Emmy Award-winning head writer Jonathan Collier and Oscar-nominated production designer Nathan Crowley. Collier’s credits include writer and co-exec producer for Monk and producer on The Simpsons. Crowley most recently served as production designer for the blockbuster The Dark Knight. Coppola made his directorial debut with CQ, which premiered at the Cannes Film Festival a few years ago, and was a producer and co-writer on Wes Anderson’s most recent film, The Darjeeling Limited. He founded The Directors Bureau in 1996 to focus on commercials and music videos. Last year, he founded TDB Special Projects, a division dedicated to creating highly customized marketing, promotions, events, content and products for a select group of corporate clients. WTTW National Prods. produces and presents original television programs for both public and commercial television broadcast. The entity is a division of Window to the World Communications Inc., the parent company of WTTW 11 Chicago. In March Louis Vuitton revealed their Keith Richard ad campaign featuring the rocker looking slightly haggard. Today it was announced that Louis Vuitton have bagged both Francis Ford AND Sofia Coppola for their next line of ads. Celebrated photographer Annie Leibovitz continues to shoot the ads which have also featured Mikhail Gorbachev and Catherine Deneuve. We can't wait to see the finished images!